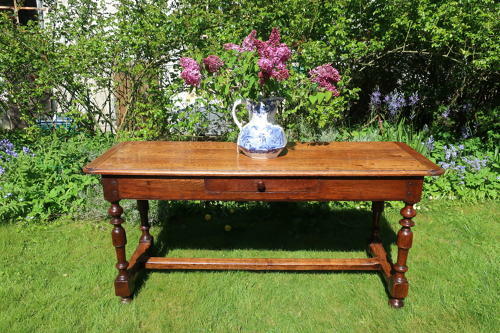 A very attractive oak side or serving table, recently sourced on a French buying trip, with a single drawer to the front and oak top supported by turned baluster legs with stretchers. Lovely warm colour and all in excellent condition. Could be used in a hall or behind a sofa. Dating to the 19th Century.